The most stereotypical of Spanish cities, if you’ve been seduced by dreams of handsome gitanos on horseback and sultry senoritas snapping castanets, then make sure Sevilla is on your Iberian itinerary. Mary Biles is our guide. I’d like you to take a moment, close your eyes and conjure up an image of Spain. I don’t mean the naff Costa del Sol nonsense, or the ‘so cool you could be anywhere’ feel of Barcelona, but the real Spain, where the air is thick with a heady mixture of orange blossom and cured ham, fiery emotions are forever bubbling behind dark, expressive eyes, and impromptu outbursts of flamenco pepper the hot, endless nights. This is classic Spain (photo by Eleazar). So when in Seville, do as the Sevillanos do, promenade proudly along the river, grab yourself a cervecita (teeny tiny glass of beer) and see where the night takes you. Seville has played host to a series of contrasting cultures from its Roman origins, followed by 500 years of Islamic occupation, and culminating in the Christian reconquest in the 13th century. 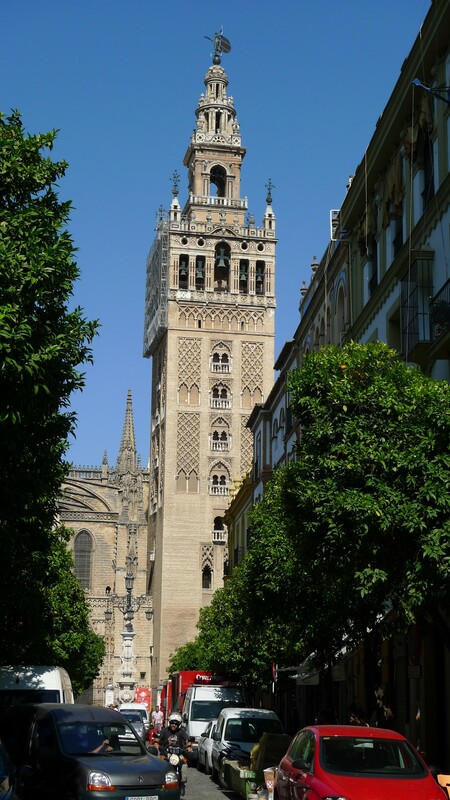 The city’s architecture reflects its diverse history, no more so than The Cathedral built under the Christians, but housing the Moorish minaret known as the Giralda. Nearby you can also visit the stunningly beautiful Alcázar Palace, which, despite its decidedly Islamic appearance, dates almost entirely from the Christian period, before heading up to the Barrio Santa Cruz, the old Jewish quarter, where you can while away hours losing yourself in the bewildering network of narrow streets, book-ended by verdant, forgotten plazas. If your legs can’t carry you any further you can hop into one of the plethora of horses and traps which will transport you to the further flung notable landmarks, such as Plaza de España, originally a site for burning heretics, but now a vast, ornate plaza designed to celebrate the Latin Iberico Fair in 1929. And while you’re there it’s the perfect opportunity to wander around Parque Maria Luisa, where gargantuan trees and an elaborate network of fountains provide the perfect respite from the often unbearable heat of summer. And don’t forget to hop across the river to the working class neighbourhood of Triana, once home to the gypsy community, it holds a special magic all of its own. And to finish off your day and further soak up the intense mix of cultural influences that make up modern day Seville, a visit to Casa de la Memoria is a must to enjoy some top quality flamenco, performed by award winning young artists in an intimate 15th Century converted palace. However, it’s not for a rowdy sangria supping crowd (if you fall in that category then you´re best heading to the Carboneria in Santa Cruz), so only go if you are ready to lose yourself completely (and soberly) in the intense, visceral passion of the art. Seville isn’t exactly awash with overtly too-cool-for-school places to hang out, but of late there has been an increased number of skinny jeans, ‘interesting’ glasses and side partings spotted out and about, which can only mean one thing: the hipsters have finally landed. Their natural habitat tends to be within a 5 minutes radius of controversial modern architecture construction ‘The Setas’ (mushrooms), so why not take an hour to ascend in the glitzy lifts and stroll around the undulating walkway with magnificent views of the city, before descending once more to immerse yourself in the pockets of ‘cool’ nearby. First stop is a little stretch of side streets between Plazas Encarnación and Alfalfa, that have been cleverly branded Soho Benita by a group local businesses. Comprising a selection of shops selling street wear, vintage and handmade one-off pieces, plus some gastro tapas bars and boutique hotels, most of the action takes place on Calle Pérez Galdos. Cut back across Plaza Encarnación under the shade of the giant mushrooms to Calle Regina, alive with quirky clothes shops and places to lounge and chew the fat such as the Cacharreria that serves the best cake in town. And if lounging is your thing, then no where beats new kid on the block Red House Art and Food on Calle Amor de Dios, a very of-the-moment café and art space, where you can chill out on the sofa while admiring the experimental art work, and take both home with you at the end of the night, at a price of course. For a run down of the several more alternative activities in town check out our, ssshhh, Secret Seven attractions. There are two main events that mark the Sevillian calendar: Semana Santa (Easter) and The April Fair. 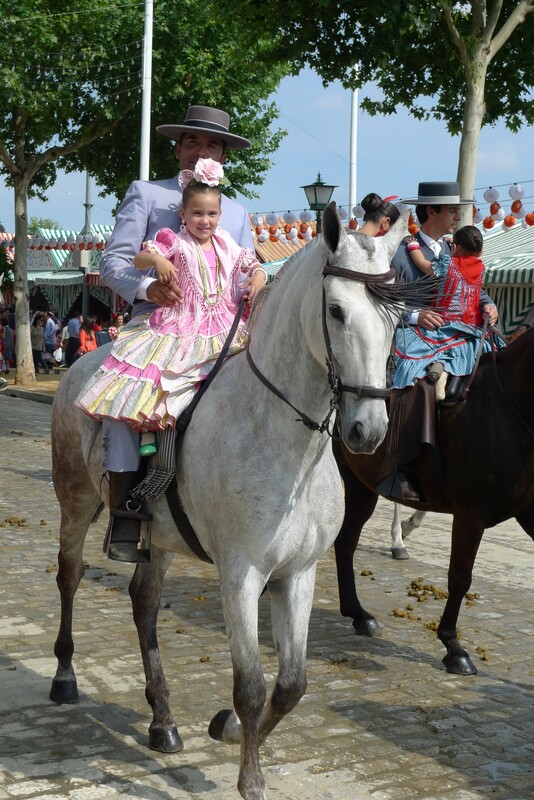 If over-the-top, medieval religious festivals aren’t your bag, then it’s Feria de Abril all the way. In a nutshell ‘La Feria’ is a six day drinking and dancing marathon where the women dress up in vibrant flamenco dresses, everyone drinks rebujito (a mixture of manzanilla sherry and lemonade) by the gallon, immaculate horses parade around ridden by men carrying the aforementioned flamenco-dressed women behind them, and multi-generational families enjoy the traditional dance of Sevillanas until they drop. Sounds like fun right? There is one catch: all this takes place inside over 1,000 colourful, wooden marquees (casetas), most of which are private, so if you just rock up, you’ll be left with the feeling that there’s a great party going on and you haven’t been invited. But that’s where Not Just A Tourist come in. Sign up to one of their Feria tours and as well as giving you the low down on the event’s origins and history, they’ll also make the experience that bit more memorable by getting you into a selection of casetas where you can quaff rebujito and eat tapas til your heart’s content, away from the heaving masses. For something just as local, but more contemporary, check out our feature on the intimate live concerts and micro theatre performances that you can catch around the city. Finally those with a little more time on their hands might want to head to the ruined Roman city of Italica, just 9km north of the city. This detailed guide to Italica and other Roman ruins in Andalusia has plenty of useful tips. Depending on what time of year you’re visiting Seville the requirements of your hotel will vary. From June onwards if at all possible, try to find somewhere with a pool. At the top end of the market is uber stylish EME which boasts the best terraza in Seville where you can almost reach out and touch the cathedral, plus a reasonable sized swimming pool to cool off in. If your budget is more modest but a pool is a deal breaker, try Hotel Itaca, near Plaza Encarnación, or the Moorish style Alcoba del Rey where instead of a pool you can find an outdoors jacuzzi on the terrace, perfect for the cooler months. And if splashing around on roof terraces isn’t your thing the Soho Boutique Hostel offers both doubles and four-bedded rooms in a stylish setting; or why not try a hostel with a twist at the Caja Habitada in the Alameda which regularly plays host to cultural events such as exhibitions, theatre and gigs. 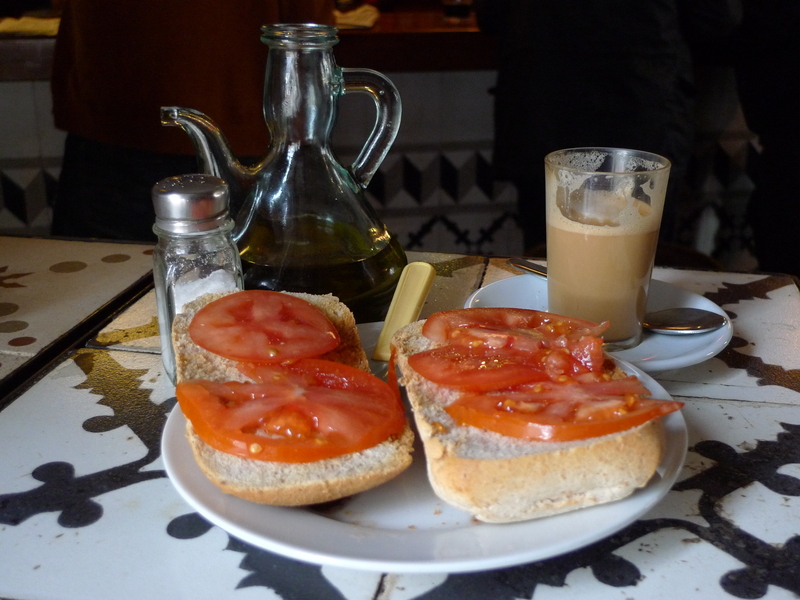 Sevillians are resolutely proud of their cuisine, but it’s all too easy to have a bad dining experience, particularly if you find yourself near the cathedral. So head to the Alameda de Hercules district where quality combines with decent prices, and eateries offer interesting diversions from the traditional tapas staples. You can’t go wrong with sibling tapas bars Duo Tapas and Sidonia on Calle Calatrava with stand out dishes being the tuna tartar, gorgonzola gnocchis and king prawn capirotes. If you want to go for a more romantic vibe, then Al Aljibe on the Alameda itself has a beautiful courtyard, perfect for stolen kisses over a crisp glass of Albariño. And don’t forget to start the day with a breakfast fit for a king: lightly toasted bread drenched in virgin olive oil, topped with juicy tomatoes and optional serrano ham. A night out in Seville basically begins outside one of the many bars lining the Alameda de Hercules. 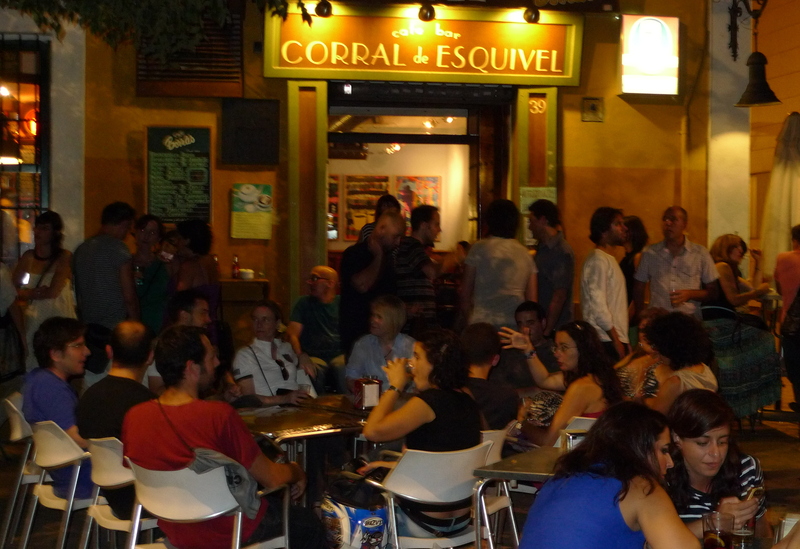 Current crowd pullers are Corral de Esquivel, Café Central and Sonoro, but a rule of thumb is to choose the bar with the most people outside, buy a few ice cold Cruz Campo beers and settle in for a few hours of light lubrication. For a change of vibe meander up the road to La Bicicleteria on Calle Feria, which is a tiny deep red vortex of a bar filled with a mind-bending mix of eccentric characters, random decorations and the best music in town, where you feel like literally anything could happen, and by 5am it generally does. And then if you’ve still got some wind in your sails and the urge to bust some grooves there are basically two options: stay in the Alameda and cry into your cerveza at the woeful establishments passing themselves off as nightclubs, or hop in a cab to either Sala Cosmos or Obbio , where you’ve got your best chance of hearing some half decent DJs. Check out flight options with the usual low cost air companies such as Ryanair, EasyJet and Vueling. If you’re already in Spain you can use the rail or bus networks which often work out cheaper, including the AVE which if booked enough in advance doesn’t always break the bank. 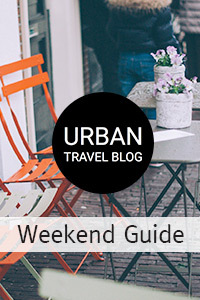 For help planning your city break you can check out the official tourist website, which is Visita Sevilla or there are quite a few ex-journalists and writers who have settled in Seville who, through their blogs, give you the low down on life in the city. Take a look at: Azahar-sevilla.com, Seville-traveller.com or my own Iknowalittleplaceinseville.blogspot.com. For the latest tips on what’s going on check the monthly entertainment listings in Giraldillo or Yuzin magazines. Most bars will have a copy. 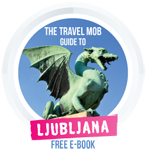 If you feel the need to have a guidebook in hand, then the usual favourites of the Rough Guide, Lonely Planet and Time Out do the trick and crime thrillers ´The Seville Communion´ by Arturo Perez-Reverte and ‘The Blind Man of Seville’ by Robert Wilson might also get you into the mood. Seville’s Moorish architecture has made it the perfect place to film historically based movies such as Ridley Scott’s The Kingdom of Heaven and more recently Plaza de España has been used in Sacha Baron Cohen’s The Dictator and Star Wars Episode II – The Attack of the Clones. But if you want to see the city as a backdrop for some crazy car chases, then take a peek at Tom Cruise´s action movie Knight and Day. We selected Seville as one of the best European destinations for a romantic getaway. Read the article to see where else we recommend for lovebirds. 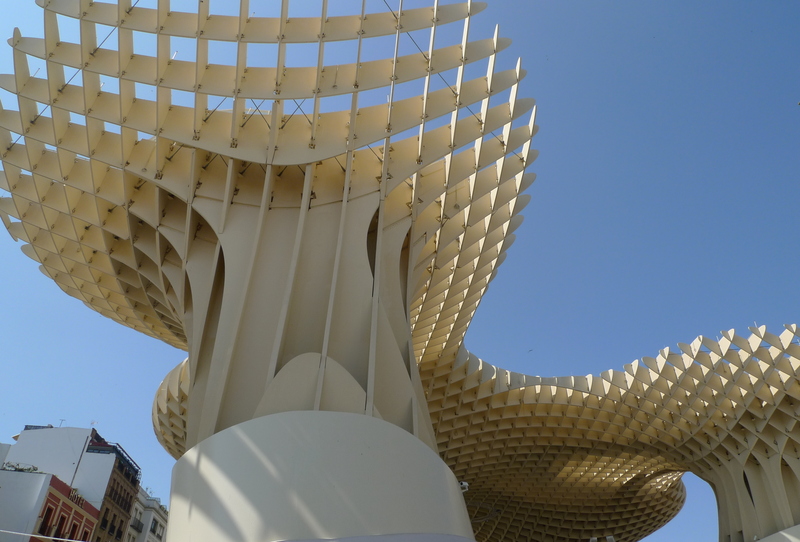 For more stories and tips on Seville click here. Dear Mary, what a fantastic blog and thanks so much for sharing your insights! It’s also exciting to read and learn all about it.